Modern, flexible ERP software design in the cloud for the cloud. Develop strong lasting engagement with your customers. The customer forms the foundation of all activities within the system. Majestic ERP ensures that everything required to fulfil and meet the customer needs is available or pre populated centralising the experience. For truly up to date information, our circular repository allows the organisation to access the information in a single view to guide and enhance the experience of all customers old and new. 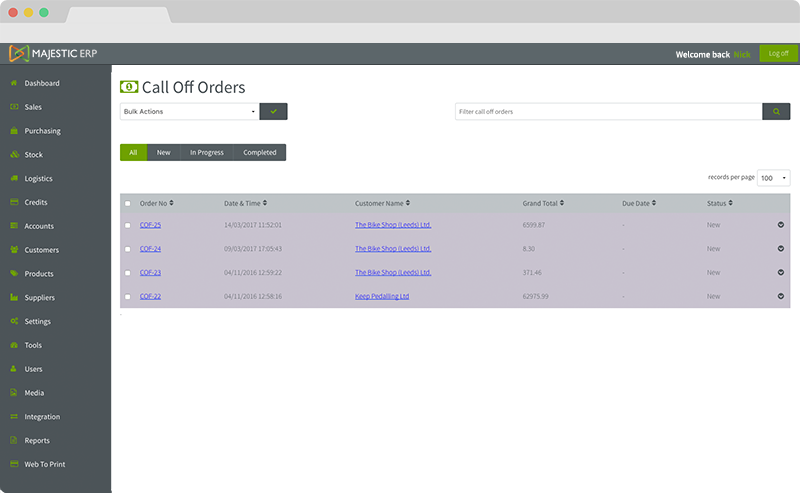 Majestic ERP is designed to make order entries simple and fast by giving your sales staff all the tools they need to maximise and efficiently process orders. From automatically adjusting product pricing based on the selected customer to performing line by line checks on available stock quantities and profit margins Majestic ERP ensures that sustainable, profitable and auditable sales performance and business growth can be achieved. Products no longer fit into a simple type or category, with disruptive innovation, organisations need the traditional product types to work alongside dynamic and intelligent configurations that allow for expansion and growth. We have developed a base range that are flexible enough to meet the most demanding needs. 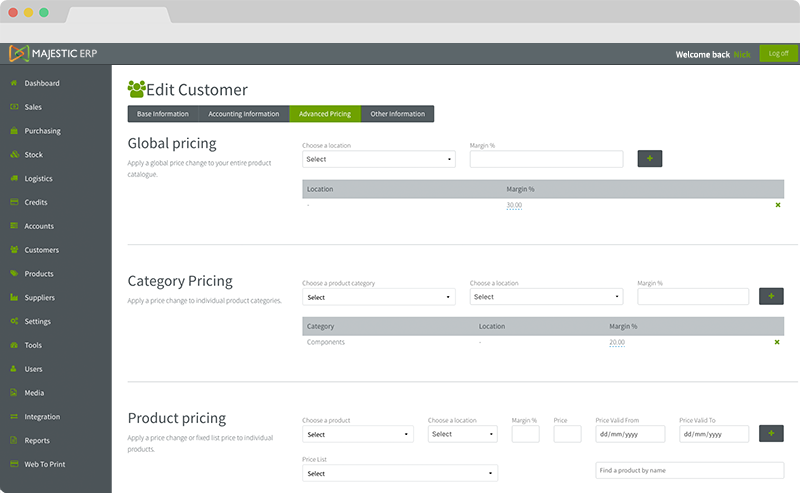 Custom variants, on the fly package and bill of material creation from within the sales order to name a few. 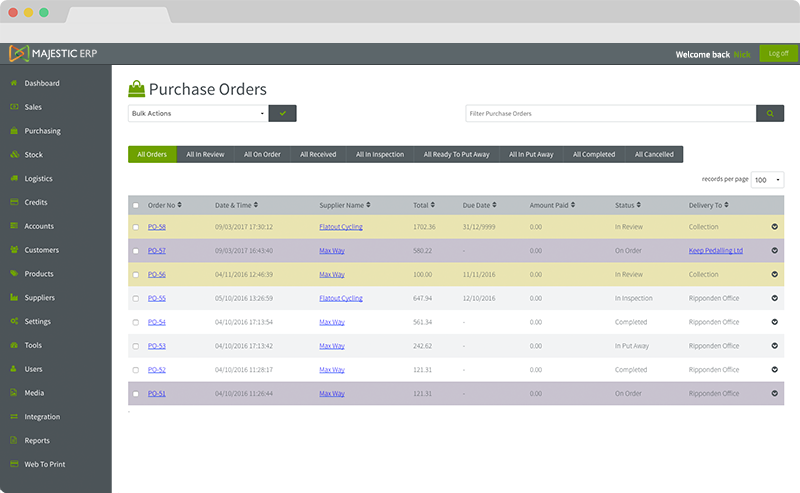 Creating the most efficient and fastest sales order entry ERP system on the market with dynamic product pricing and creation. Majestic ERPs production management capabilities enables a business to run their operations efficiently. 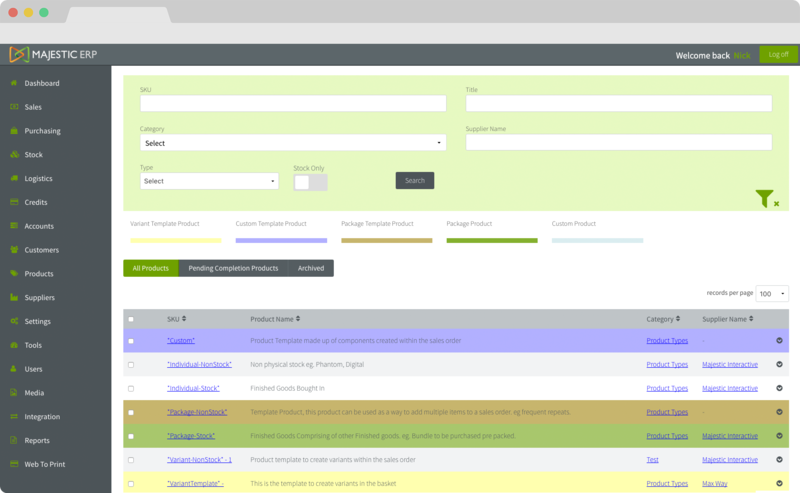 From sales order to work order processing, routing and scheduling, order fulfilment and product costing, our manufacturing solution provides real-time visibility into every step of the production process to help you make better-informed decisions. The core ethos is to operate a PUSH, PULL methodology allowing the workflow to be operated from both ends. We see the purchasing flow to be fundamental to efficient processing and customer retention. 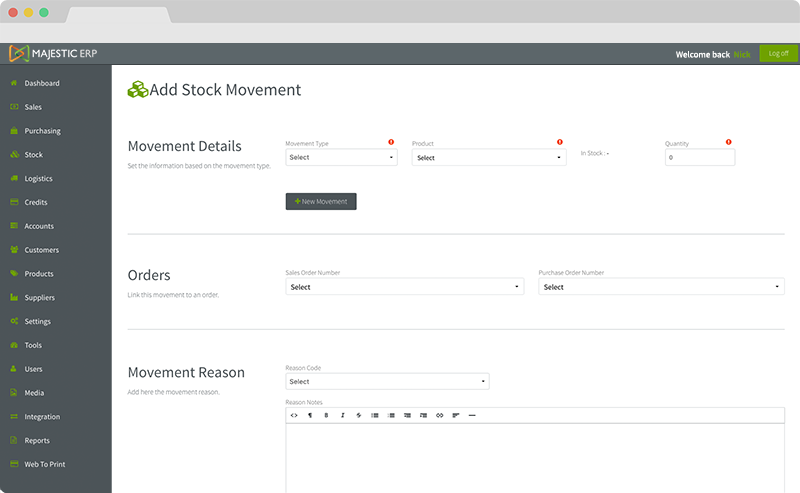 Live stock details and activity remove the need for mandatory cut off times. Our dynamic stock profile allows the users of the system to see a snapshot of the hear and now. 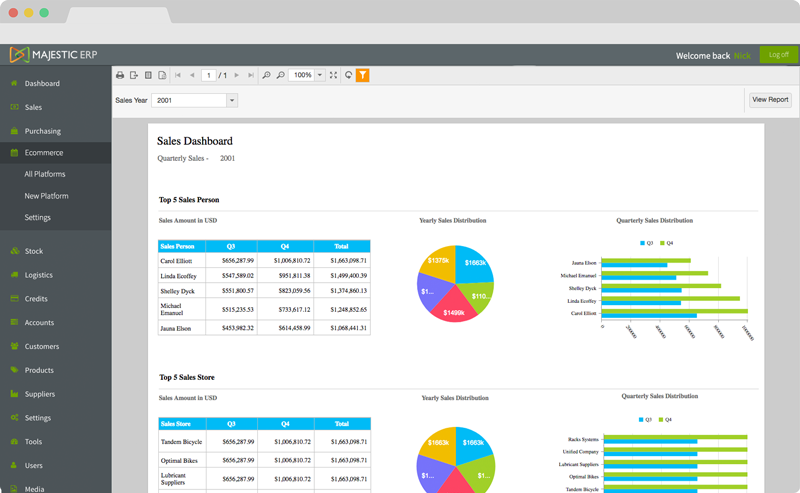 From a single user to a team, majestic ERP can pre allocate in review. Warehouse and logistics is an intersection point of what, where & when. Visual indication is fundamental to the overall management efficiencies. We accomplish this in two key ways; by order stock validation, is it where it needs to be, and headline blocks keeping an eye on operational progress. Throughout the application KPI blocks tell the user that all is well or if there is something that may need attention. 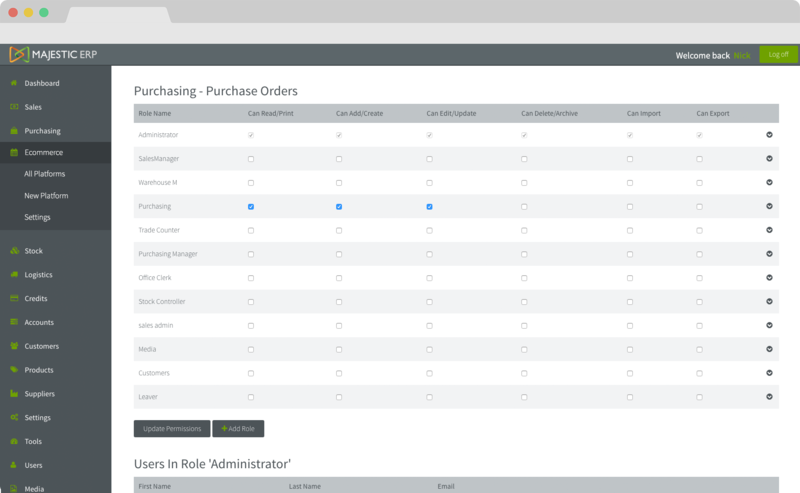 Enterprise reporting with endless bespoke configurations available. 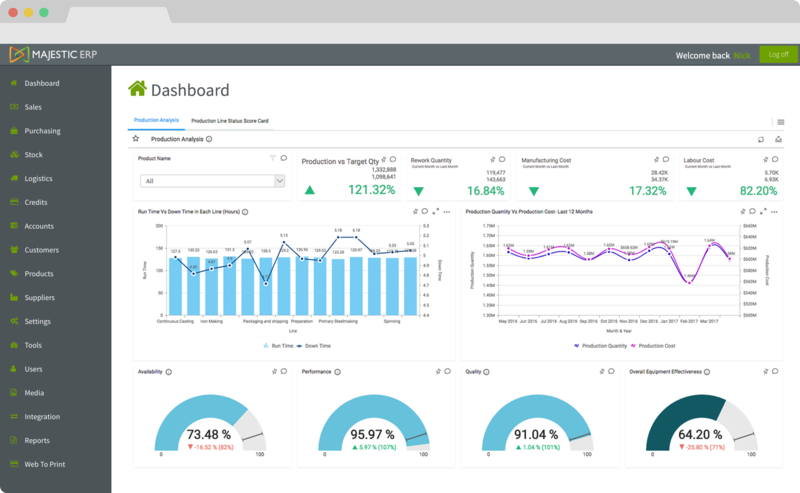 Our ethos is to capture the detail, we believe that organisations should be able to report on the data giving insights that harness continuous improvement. 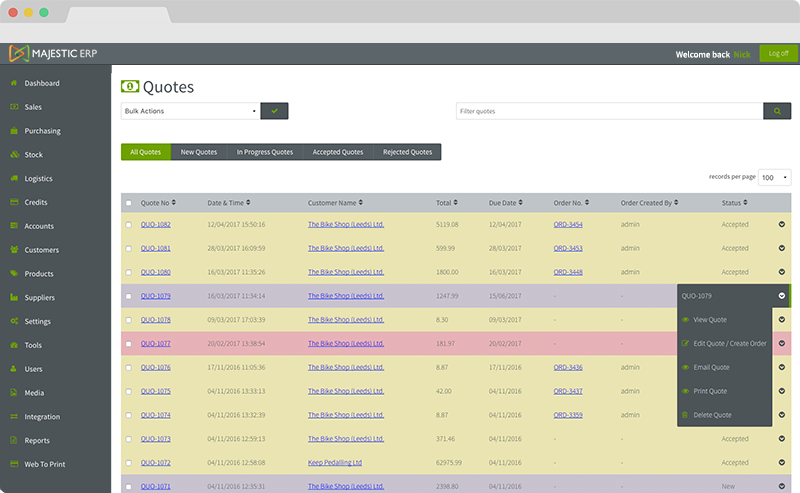 With our team of highly skilled developers and engineers we can generate complex one off reports unavailable in other ERP solutions. User management is not just defined by permission to see things but The user interactions can directly impact efficient processing of information, our aim is to facilitate smoother, appropriate transitions through the application.